“Mommy, come play with me,” my little one requests. We only have ten minutes before bedtime and we still need to brush teeth and put on PJs. Tomorrow, I tell myself. Tomorrow I’ll have more time to play. The perfect amount of energy to clean. The perfect slower schedule to be a really fun mom. The perfect mood to exercise. The perfect timing to watch a movie and fold laundry. The perfect opportunity for a service project. I try to absorb the realization: I miss out on so much good because I wait for perfect. 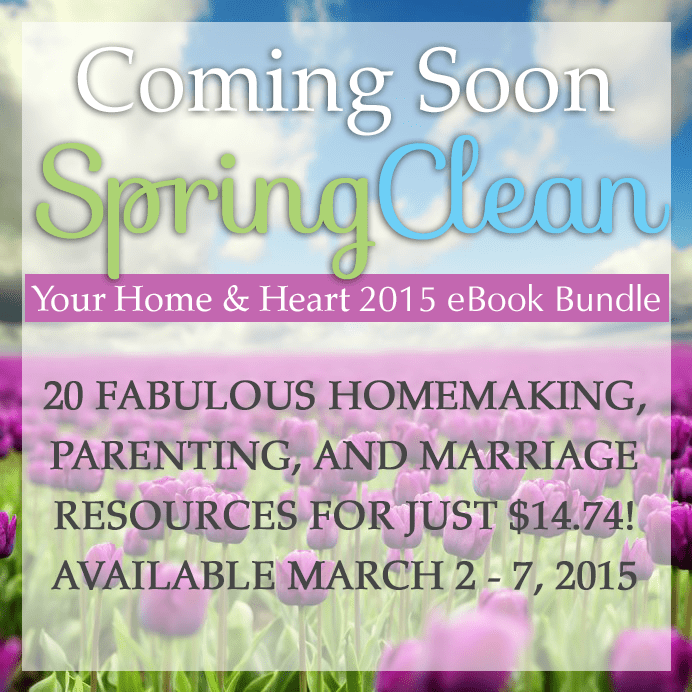 But I can make my house clean enough even if I’m tired. I can jog in place and do crunches in the living room when it’s too cold to go for a run outside. I can appreciate my husband even though he doesn’t do everything just the way I’d like (I’m pretty sure I don’t do everything exactly how he’d choose, either). What I saw when I walked into the living room tonight tugged on my mother heartstrings. For once, I didn’t mind the mess. In fact, it was quite lovely. The papers, the food, the markers… they were all signs of life and love that happens in this home. My sweet girls are growing up so fast. The things all over the floor are beautiful. We can clean it up tomorrow. Tonight, we will create beauty and savor the evening together. 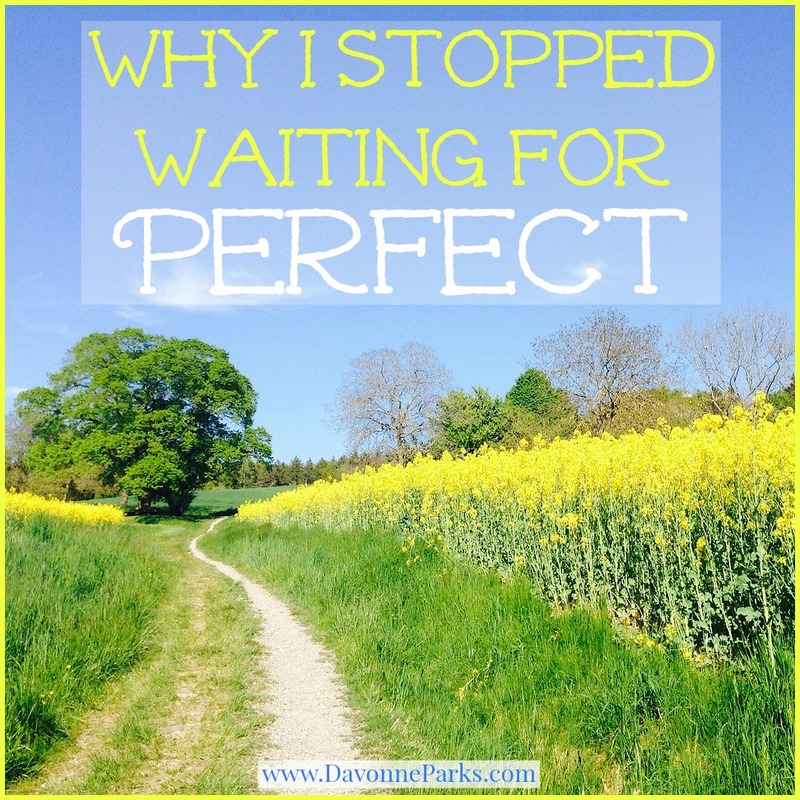 If I continue to wait for perfect, then I’ll spend the rest of my life waiting because perfect will never show up. What I have – and what all of us have – is today. We can eat healthy foods that fuel our bodies and give us energy. We can savor the fleeting moments we have with our family members. 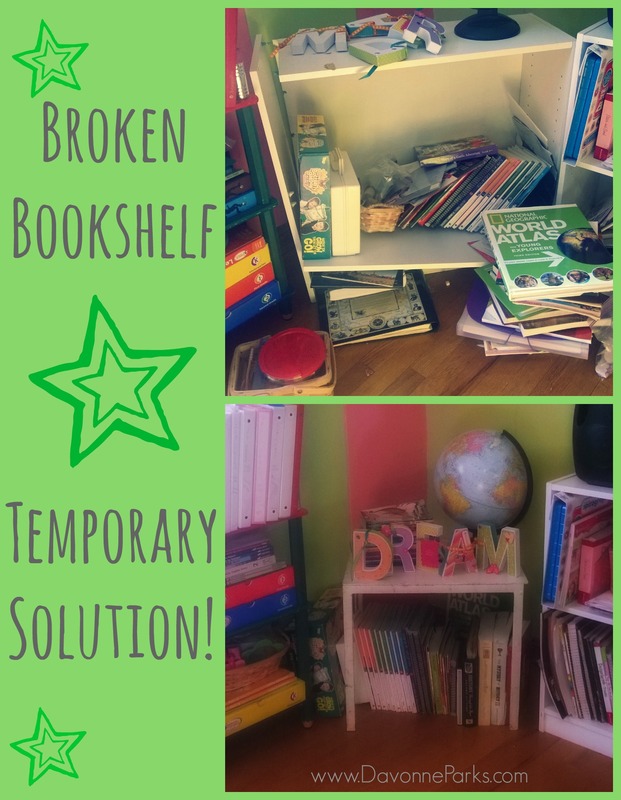 We can organize and declutter so we no longer need to spend time searching for missing items. In spite of our imperfect circumstances, and in spite of our shortcomings and struggles, there is hope and redemption. We can do amazing things. And those first steps towards amazing things start at home. Nathan completely surprised me on Saturday evening by cleaning out his closet! I was so excited when I realized what was going on and I ran upstairs to help! 3 bags and 1 hour later, we were done! 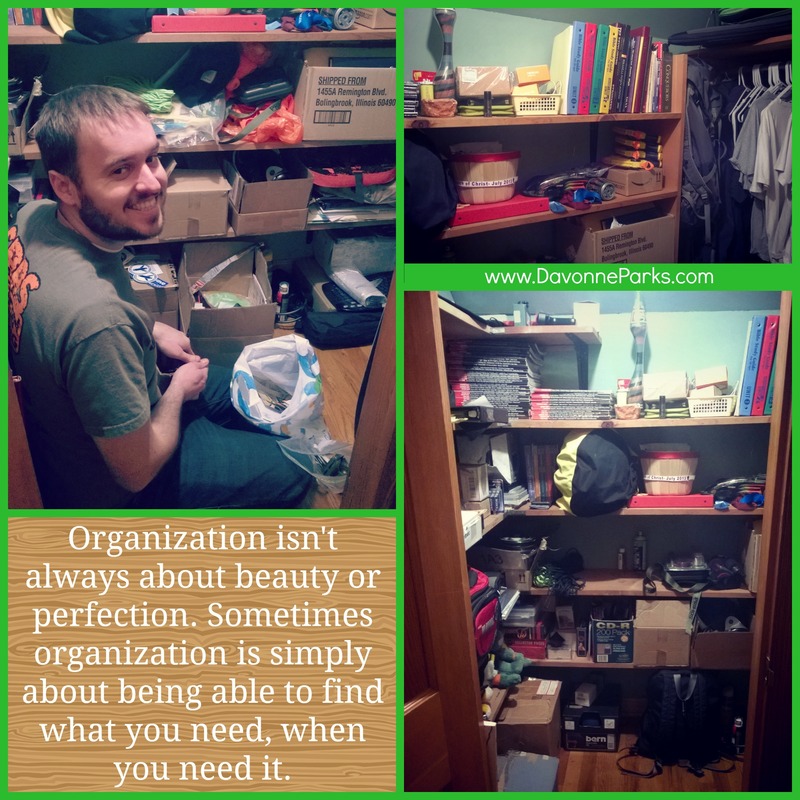 I love the imperfectness about his closet – it’s a wonderful reminder to me that organization isn’t always about perfection. Organization isn’t always about beauty or perfection. Sometimes organization is simply about being able to find what you need, when you need it. Spent 1 hour decluttering Nathan’s spare closet. Filled 3 trash bags with trash. Filled 0 trash bags for donation. Plus we purged 1 huge Christmas tree, a bag of egg cartons, and a broken bookshelf.